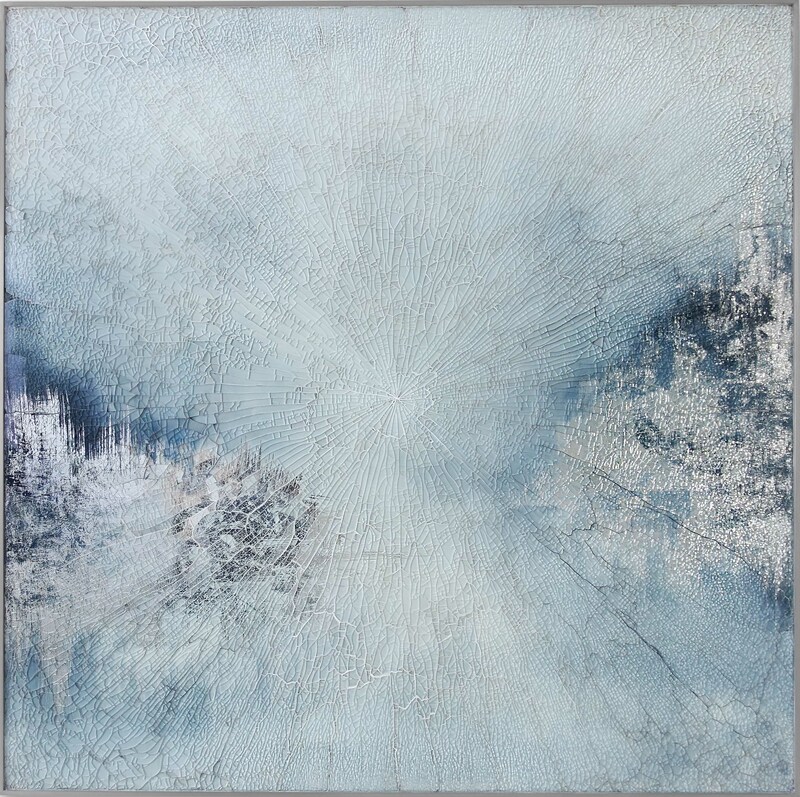 Dallas Design District gallery, Laura Rathe Fine Art, presents the exhibition, ‘BREAKTHROUGH,’ featuring new works by contemporary West Coast artists, Cassandria Blackmore and Michael Schultheis, opening on Saturday, January 6th. 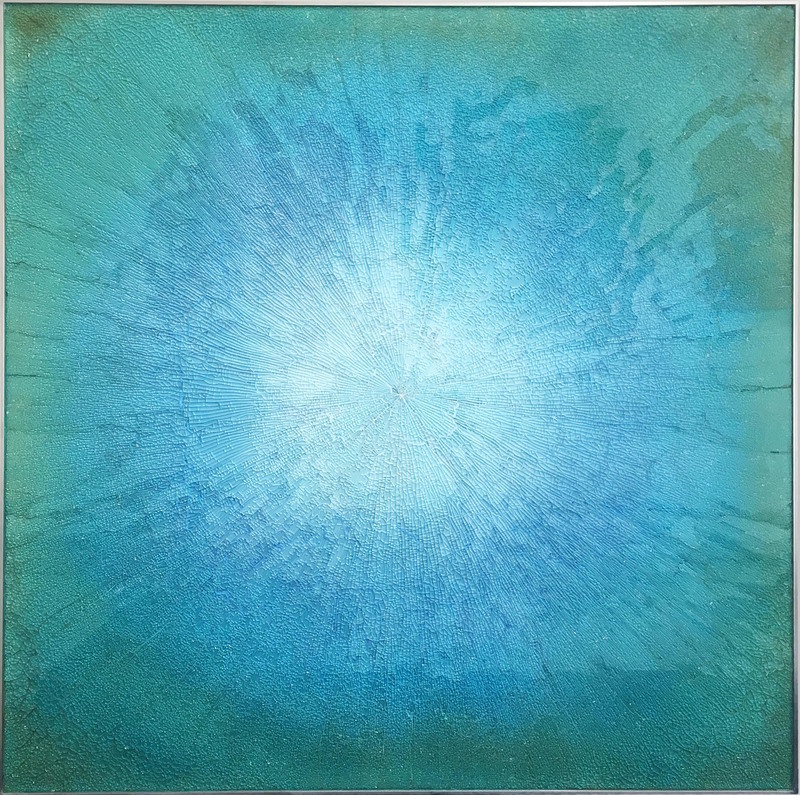 Based in Santa Barbara, California, Cassandria Blackmore creates colorful abstract works from shattered and meticulously reconstructed reverse glass paintings. Seattle-based artist, Michael Schultheis, builds his compositions through successive layers of mathematical notations and geometric forms that collectively appear suspended in ethereal spaces masterfully rendered in acrylic paint. Though they work in diverging techniques and media, the pairing of works by Blackmore and Schultheis reveals the beauty of controlled chaos and the remarkable tension between restrained and intuitive gesture. This will be LRFA’s first exhibition featuring the work of Cassandria Blackmore. ‘BREAKTHROUGH’ will be on view through February 10, 2018. For more than 25 years, Cassandria Blackmore has perfected her technique of shattering and reassembling her reverse glass paintings to create extraordinarily colorful and emotionally powerful works of art. She paints both abstract bursts of color and highly detailed figurative images on the backs of glass sheets, which she then shatters and reassembles to create finished works that are inherently unpredictable. Blackmore says, “in a way, the artist is sort of pulled out of the equation at the end, and the glass has the final say.” Baring shimmering lines that radiate from the points where Blackmore strikes each painting, the finished works are remarkably vibrant, perpetually freezing these dramatic collisions for the viewer. The work of Cassandria Blackmore is exhibited internationally and permanently held in the collections of the Crocker Art Museum, the Bronfman Collection, the Gates Collection, Neiman Marcus, the University of Washington, MGM Center, the Floyd and Delores Jones Playhouse Theatre, Pacific Central Bank, the City of Seattle, Washington State Arts Commission, and Deloitte Consulting, among others. 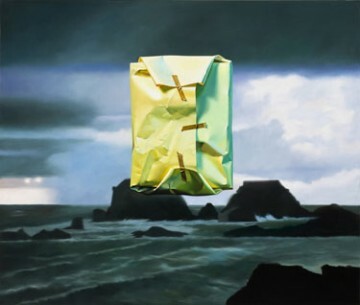 Blackmore is also a recipient of the prestigious Hauberg Fellowship for painting and in 2006 she was honored as the Renwick Smithsonian artist of the month. Likening the canvas to a chalkboard, contemporary artist, Michael Schultheis creates abstract paintings consisting of many layers of mathematical notations and expressionist drawings rendered in acrylic paint. Blending measurable, scientific formulas with an intuitive approach to color and gesture, the artist translates his observations of the material world into marvelous works of art that describe the dynamic nature of relationships, both geometric and social. 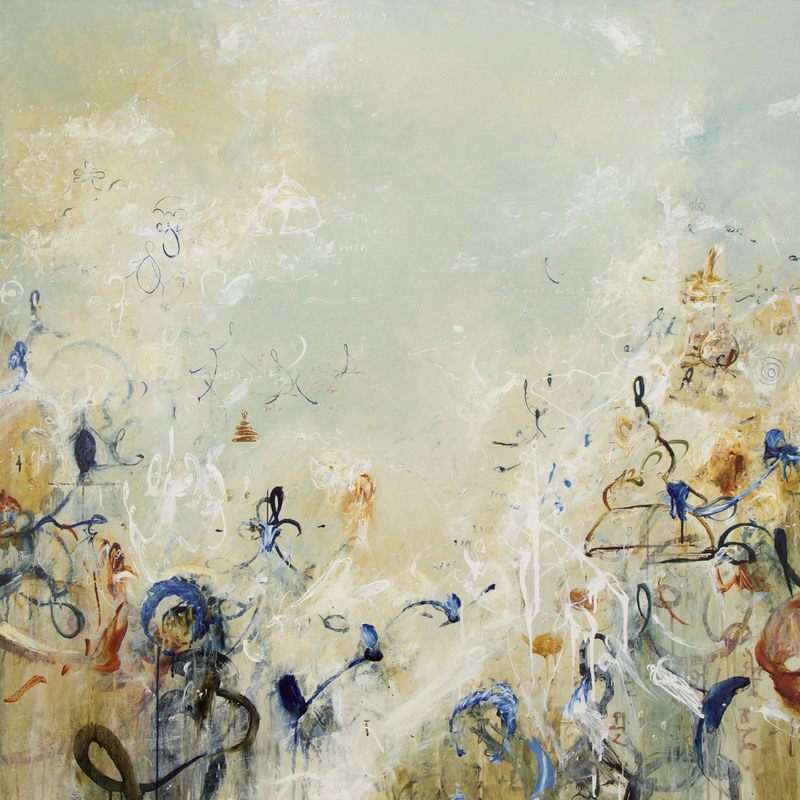 Rooted in the histories of Abstract Expressionism and ancient Greek geometry, the work of Michael Schultheis explores the form and motion of three-dimensional objects; human experiences and relationships; and ultimately the interconnectedness of life. 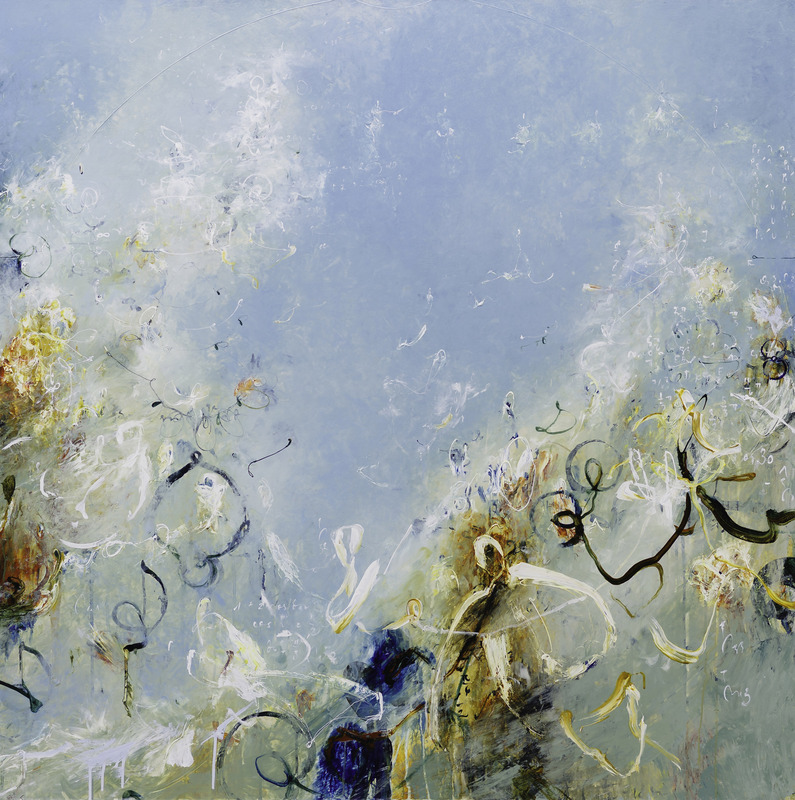 The work of Michael Schultheis has been shown in over 40 solo exhibitions across the country and is permanently held in the collections of the National Academy of Sciences in Washington D.C., the Tacoma Art Museum, and the U.S. Embassies in Greece and Switzerland. 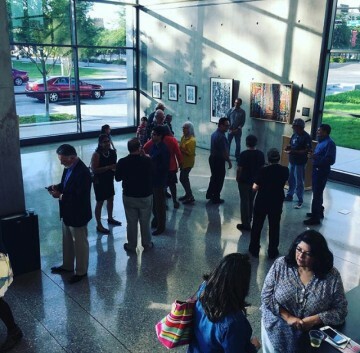 Schultheis has also lectured about his work at various universities, and his paintings have been featured in several national media outlets including the Wall Street Journal and NPR.